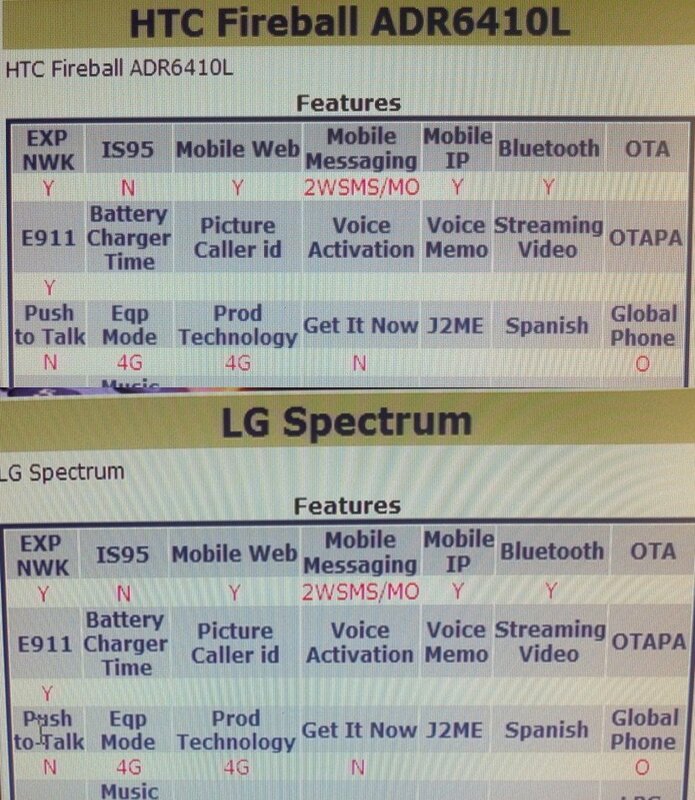 LG Spectrum and HTC Fireball to be Verizon’s First 4G LTE Global Devices? The LG Spectrum and HTC Fireball could be Verizon’s first set of 4G LTE global devices if this system screenshot is correct. You see that little “O” up there under Global Phone? That would be replaced with an “N” if it lacked global capabilities, so this is a good sign. So far, Big Red hasn’t produced a “global ready” LTE phone, even though the DROID RAZR has global GSM radios in it. In a market that seems to have more LTE choices than many of you know what to do with, having global roaming capabilities is certainly a way to separate yourself. What else do we know about the Spectrum and Fireball? Well, not much when it comes to the Fireball. This phone just jumped onto our radar within the last week, and the only real thing we have to go on is the model number of ADR6410. The Thunderbolt was AD6400 and the Rezound is ADR6425, so that would lead us to believe that it will fall somewhere in between them spec-wise. Is this the true replacement for the Thunderbolt? Could the “10” in 6410 mean keyboard? Tough to tell. The LG Spectrum on the other hand is expected to be identical to the LG Nitro HD that launched on AT&T this month. It should rock a 4.5″ HD screen, 1.5GHz dual-core processor, 1GB of RAM, anywhere from 4GB-16GB of internal storage, and an 8MP rear camera that can shoot 1080p video. It should be Verizon’s best LG device yet. No word on a release for either, but we do know that the Spectrum has been in the works for quite some time. The Fireball on the hand, remains a mystery.